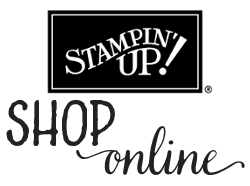 Pinkies Blog Hop for the New Spring Summer Catalogue from Stampin’ Up! It seems so long ago that I first set eyes on the new Spring Summer Seasonal Catalogue from Stampin’ Up! – it was really nice to leaf through after all my Christmas crafting was complete and get excited about the new products all over again. If you are a regular reader of my posts, you’ll know I’m a complete sucker for a bundle and a bargain, especially if framelits are involved. The Cups & Kettle Framelits and matching A Nice Cuppa stamp set were number one on my wish list. The teapot framelit (or is it supposed to be a kettle – the name of the set is confusing me now!) even cuts off the lid perfectly for you, so I knew I had to come up with a way of the lid being removable on the project. The result is a slider pop up card! I took inspiration from the Have a Cuppa Suite pages in the catalogue, and used Wisteria Wonder as my main colour with the gorgeous new Bermuda Bay ⅛” Stitched Ribbon as the accent for the “pull” of the slider mechanism. 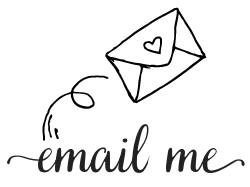 I never would have thought of putting those two colours together, but trust Stampin’ Up! to get it right and surprise me. 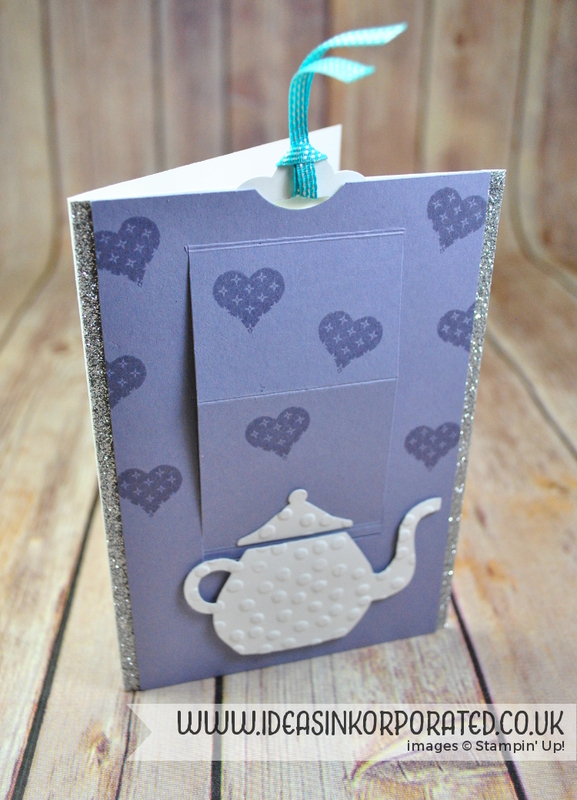 The heart shaped steam accent from the A Nice Cuppa stamp set, stamped in Smoky Slate, creates the perfect background for the pun-tastic “you are Tea-riffic” sentiment. I’m not 100% sold on the Decorative Dots embossing folder for this one. The teapot definitely needs some form of decoration. Maybe I’d better have another look through the catalogues to see what else I could use…. 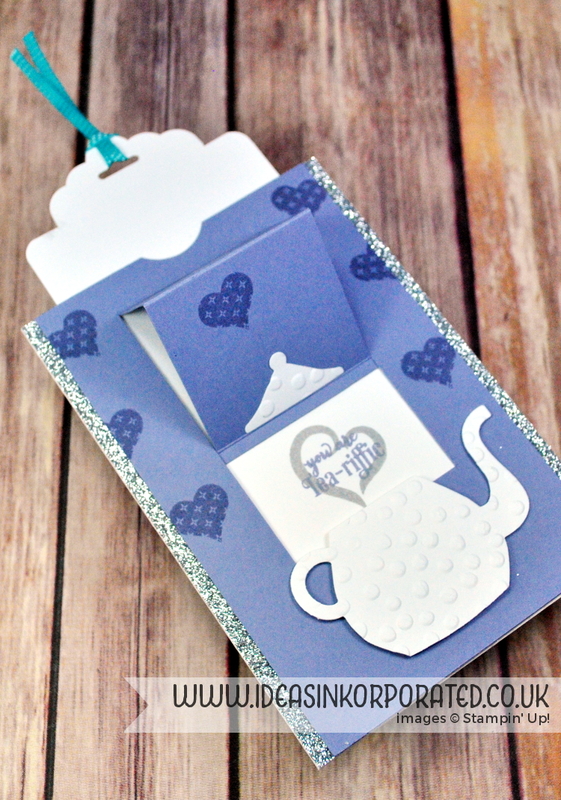 I love your slider card and it’s genius to pop the teapot lid open! Love it! Aaww what a great idea, perfect for this style of card. And you have steam too! Great stuff! Love your slider card and the lifting lid. What a brilliant idea to have the teapot lid lifting up! INSPIRED. What a genius card! Love it! Love the way the sentiment pops out when you pull off the lid of the teapot. What a great card. Love the slider part with the lid of the teapot.